On this thread, i will attempt to provided a wide variety of evidence proving that specific parts of the Apollo photographic record have been fabricated. I cannot and will not attempt to prove every photo and every video be it on digitally rendered videos or in NASA's archives is faked. What I will do is attempt to provide enough evidence of fabrication to prove that much of it was, operating under the supposition that if it can be proved NASA fabricated some of the photographic evidence, none of it can be trusted to be genuine. 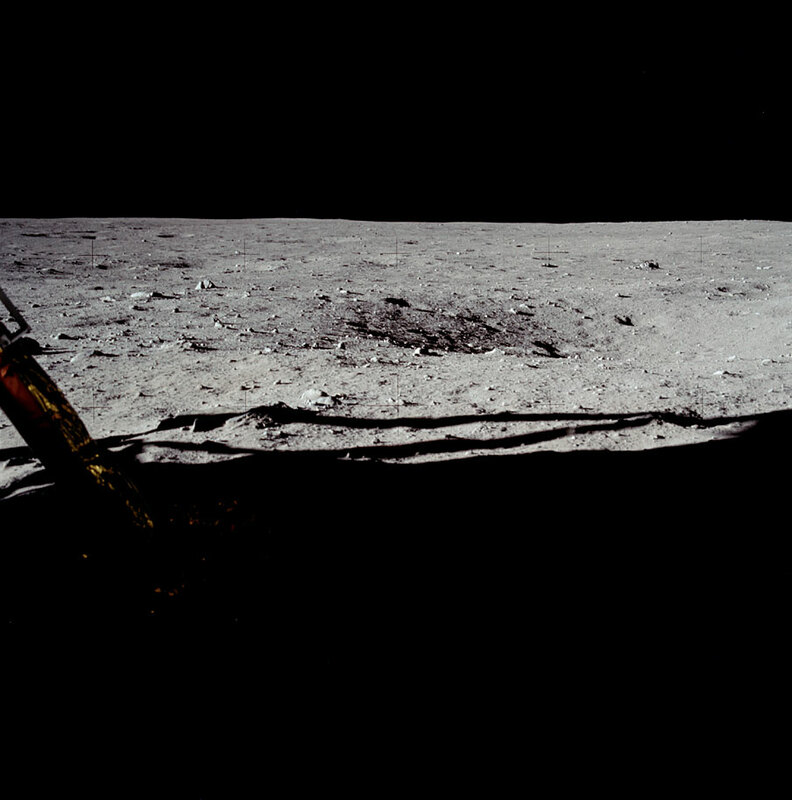 I believe that if enough time was spent analyzing any image NASA claims depicts a manned lunar surface mission that one could find evidence of fakery, but i will not and cannot do this, it would take me the rest of my life, so please, don't ask me to present an impossible burden of proof. My personal experience with critiquing these photos and videos is that the longer you critically analyze them, the more errors you discover and the less real they begin to appear. The excuses you will make for each of these inconsistencies will build like evidence in a criminal trial, until a certain level of "beyond resolvable doubt" is achieved. I intend to reach the burden of proof "beyond a shadow of a doubt" that NASA faked the photographic record. I will endeavor to be systematic in my approach, proving each element one at a time. Since this is my thread, I would appreciate keeping the exchange focused on the subject, and off of myself and your personal opinions about my competency, honesty, integrity, mental state or any other disqualification you may feel I have. I contend that I am at least equal to any of you and have an equal footing here as Mr.Windley stated, and since none of you have any idea who I actually am, any speculation is without evidence and not allowed by the standards of gentlemanly behavior and civil debate. The question being asked here has nothing to do with me (or you). Let's try to keep it that way.. I believe as time goes on, it will become apparent to you that I am indeed qualified to come to certain conclusions about much of the evidence I will present here. Keep in mind I do not intend to attempt to prove that ever single photo or video is fabricated, as I believe it is sufficient to prove some of it was to invalidate NASA's credibility in this specific vein of evidence.. i will be using evidence many others have posted, though there is no implication that I agree verbatim with their analysis. i will provide my own. Also keep in mind this is not the only iron I have in the fire. I am raising a family and making a living, and I have many responsibilities and distractions. Do not expect me to respond to every question you ask the minute you ask it, and do not expect to be allowed to steer the direction my thread takes. I will not allow this and will request off topic material be removed. Whether the moderator conducts himself in a an unbiased and fair manner will be a reflection on him and this forum, and not myself. Please allow me time to present my first piece of evidence as I need to compile a post..
Re: NASA photographic record of Manned Moonlanding:Is there evidence of fabrication? Look forward to seeing anything specific, particularly if it is new. I think I may be coming around a bit on the "bundle of straw" approach. It is easy to dismiss such arguments as an attempt to make fifty weak arguments stand in for one strong one. But my opinion at the moment is, there is such a preponderance of evidence pointing to the actual landings as described, you sort of need a weight of alternative evidence. One single photograph that can't be explained should simply be dismissed, as it is more likely you haven't found the explanation, than that every other bit of the record has been falsified. Hundreds of problems in the documentation, on the other hand, might give cause for a closer look. That said, the obverse also holds. Not being able to explain how one bit of data could have been faked is one thing. Not having an explanation for the vast majority of the observations pointing to the veracity of the landings is quite another question. There is a lack of parity in these two problems, of course. The potential explanations for every anomaly the hoax believer brings up do not have to be consistent. There is plenty of room in the real universe for varied effects to come into play on even superficially similar bits of evidence. On the flip side, however, the entire idea of a hoax requires that a limited set of methods was applied to creating it. Saying Photograph A shows artifacts consistent with rear projection, and Photograph B shows artifacts consistent with filming in New Mexico, is not compelling. Your wall of text lacks evidence, but has unevidenced claims in abundance. Surely you are not going to down the no claimer route? On reading your post, why, yes you are. Yipee! At long last a subject that I am familiar with. Bought my first camera on 3 January 1968, became a professional photographer on 12 September 1975, and in the 1990s quickly found that the first claims I saw of fakery in the Apollo photos (by William L Brian and Ralph Rene) was a load of nonsense from people who were unqualified to judge photos. I should add though, that I had no formal qualifications as there were none available back in my time. People just worked their way up from the bottom. However, over the years I built up considerable experience in analysing photographs, which was part of my job. I, too, look forward to something new and not just the same old stuff that has been long debunked. I am not a prolific poster, but will be watching with interest. We have a few members here who are very experienced and capable photographic analysts. 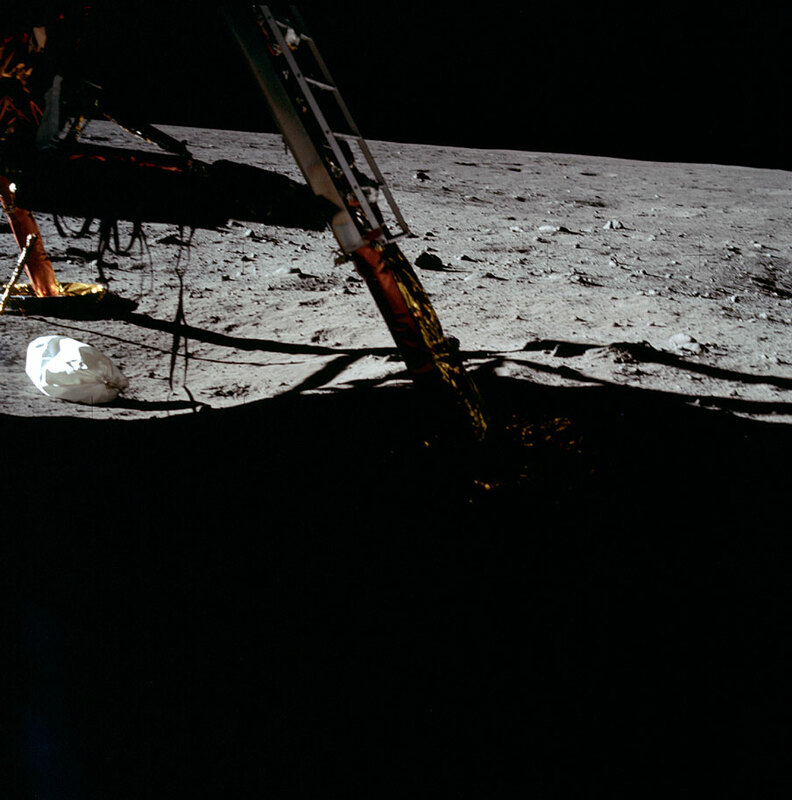 The first element of evidence I will present is the quality of the Apollo surface photography as taken with the Hasselbad cameras using Kodak Ectachrome film. As you can see from the evidence, chemical emulsion film like Ectachrome is extremely degraded by relatively low levels of radiation and it is destroyed at temperatures exceeding 120 degrees according to the manufacture of the film, who suggests cool dry storage of undeveloped and developed Ectachrome. We will not be getting into that at this time, but we will at a later time. Wait, what? The evidence can't be discussed, only accepted? Then there's no purpose in this thread. ...if it can be proved NASA fabricated some of the photographic evidence, none of it can be trusted to be genuine. You set a low bar for yourself and propose to draw a conclusion that exceeds the evidence you can provide for it. Conversely if any of your alleged proofs for fabrication are found to be faulty, does that give your critics license to assume that none of your proofs can be trusted to be valid? I agree with nomuse. Just considering the 70mm stills alone, there are around 23,700 photographs taken, of which some 6,000 were taken on the lunar surface. Cherry-picking a handful of them and pretending that they're the bellwethers does not prove much. ...don't ask me to present an impossible burden of proof. Then don't draw a conclusion that would require a burden of proof you are unwilling to bear. Since this is my thread, I would appreciate keeping the exchange focused on the subject, and off of myself and your personal opinions about my competency, honesty, integrity, mental state or any other disqualification you may feel I have. Your competence to do what you propose to do is very much on-topic, as is your honesty. The only one relying upon accusations of mental illness is you. I will be using evidence many others have posted, though there is no implication that I agree verbatim with their analysis. Rather than require an inference, state clearly where you disagree with your cited sources and why. Relying on external sources is welcome, but you should clearly identify them. There are a couple caveats. First, you will be asked what, if anything, you did to confirm or verify the claims made by others. Second, we don't generally condone the practice of citing sources in order to establish the argument, but then declining to defend it on the grounds that it's someone else's claim. If you present it here, regardless of its source, you will likely be held accountable for arguing it. How often you post is not as important as what you address when you are posting. If you beg indulgence to deal with your real-life duties, but then spend your posting time unproductively, the indulgence tends to go away. ...and do not expect to be allowed to steer the direction my thread takes. I will not allow this and will request off topic material be removed. You don't get to decide for everyone what's on- or off-topic. Arbitrarily excusing oneself from difficult points is a common tactic for evading discussion, and we generally don't let you get away with it. The threads go in the direction they go. You don't get to direct them along some predetermined path that you feel competent to argue. I WILL NOT entertain any back and forth bickering about the validity of this evidence and what it proves. So you have no confidence that your evidence will stand up to scrutiny? You propose simply to post your claims and not be tested on them? You've provided the wrong link. That one provides no description of such an experiment, unless there is some part on the page that we must click on. A few of us have copies of "Dark Moon" so please quote the exact page on which the details can be read. You've provided the wrong link. That one provides no description of such an experiment, unless there is some part on the page that we must click on . A few of us have copies of "Dark Moon" so please quote the exact page on which the details can be read. Tests were done with the incorrect x-ray energy value. Tests were done using a non-Apollo magazine. Tests were done in an air atmosphere, failing to replicate the lunar surface vacuum. Tests were done using a non-Apollo magazine. The "scientist" in this study, David Groves, cannot be located or verified to be an actual scientist. His egregious methodological errors suggests he is not. The author of the book in which this study appeared, David Percy, has been invited twice by third parties to defend this and similar claims face to face with me, but declined both times.